Hi friends, hope you had a great start to the week! 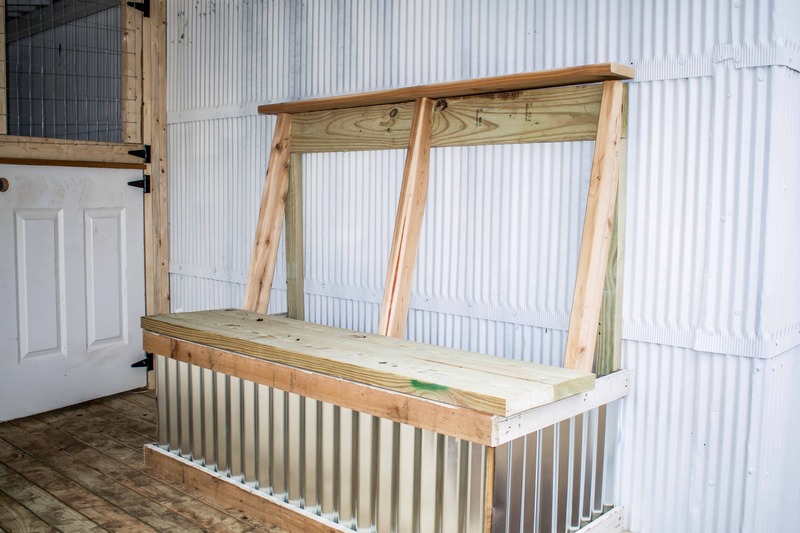 Let’s talk about our DIY goat house. I’ll also share a few before and after photos on the homestead. When hubby and I moved to the farm about 3 years ago, our backyard was a complete mess. 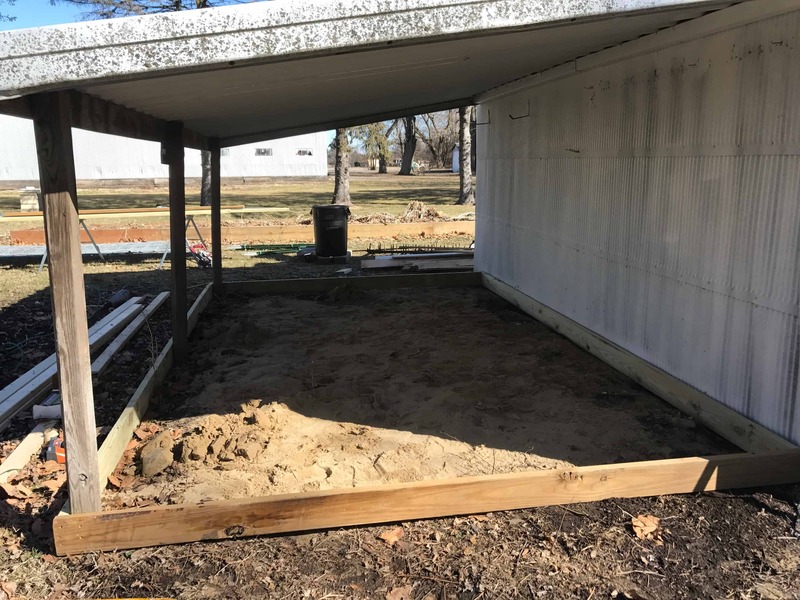 We had an awful storage shed directly behind the house that was falling down, but Ben didn’t want to tear it down because he needed a place to store the golf cart, lawn mower, etc. Talk about an eye sore! Every year we talked about tearing the shed down, but every year we decided against it. 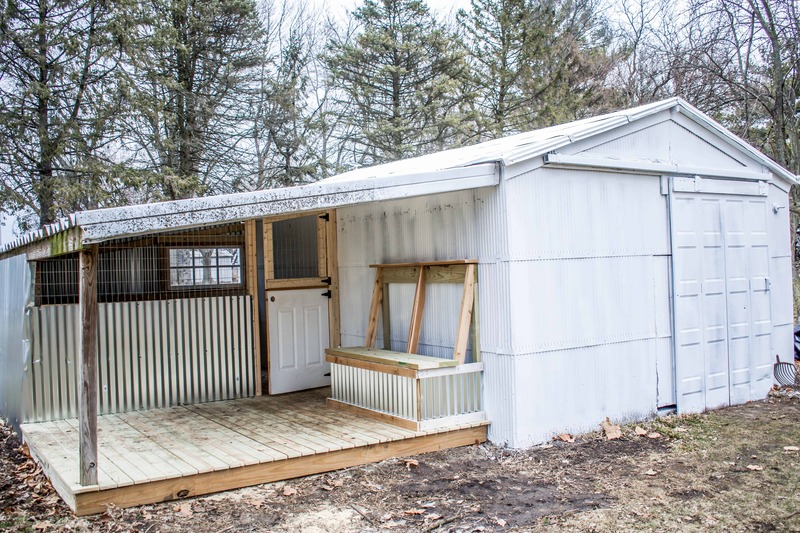 Thank goodness, because hubby transformed that awful shed into our DIY goat house! When Ben and I started to consider adding baby goats to the homestead, we struggled to figure out a safe option for shelter. Hubby contemplated building a new goat house, but we wanted to keep the cost low. 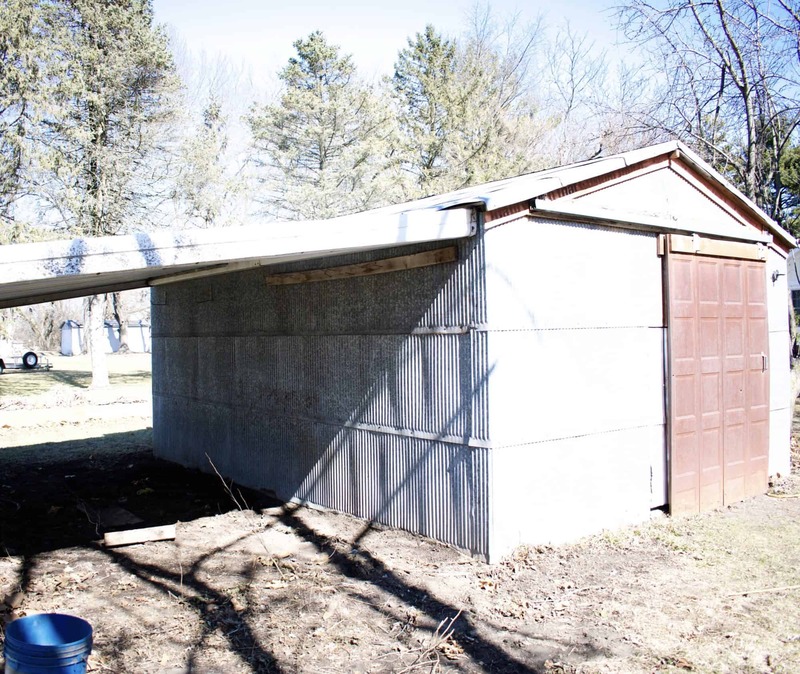 Ben suggested that we convert the storage shed into the goat house. I hoped that we would finally tear the storage shed down this summer, so I wasn’t totally on board. But I REALLY wanted goats, so I cautiously agreed. Despite my hesitation, the DIY goat house turned out perfect. Seriously, when it comes to before and after projects, why does hubby ALWAYS prove me wrong? I’ll never know. 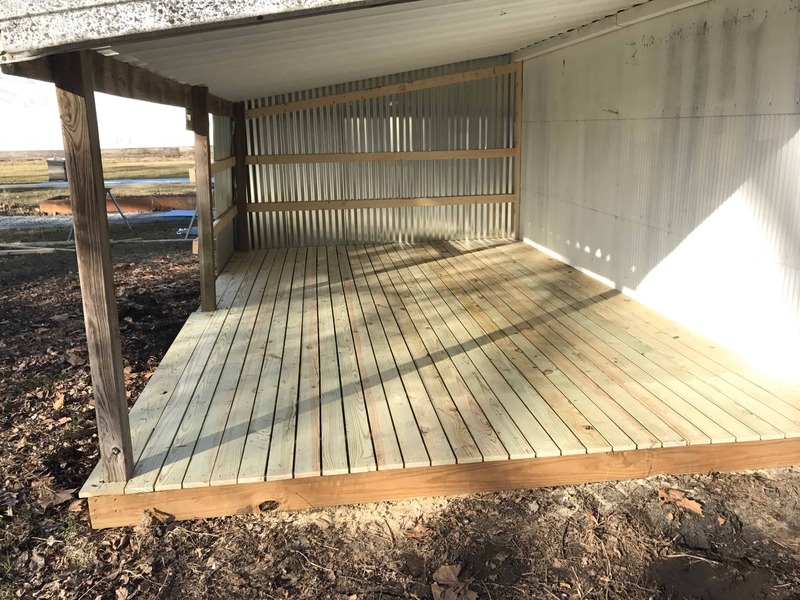 We quickly learned that the storage shed was previously infested with raccoons and mice (I’m still super grossed out over this), so it needed a deep clean. We also painted the interior and exterior. WOAH, that made a huge difference! Next, Ben built a deck under the lean-to portion of the goat house. 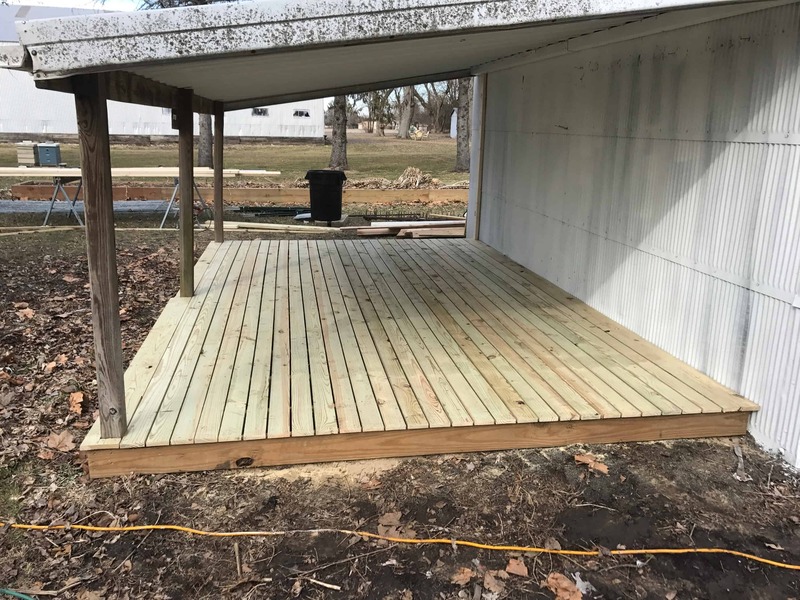 The lean-to was pretty low, so we were concerned that the area would be too wet and muddy without the deck. 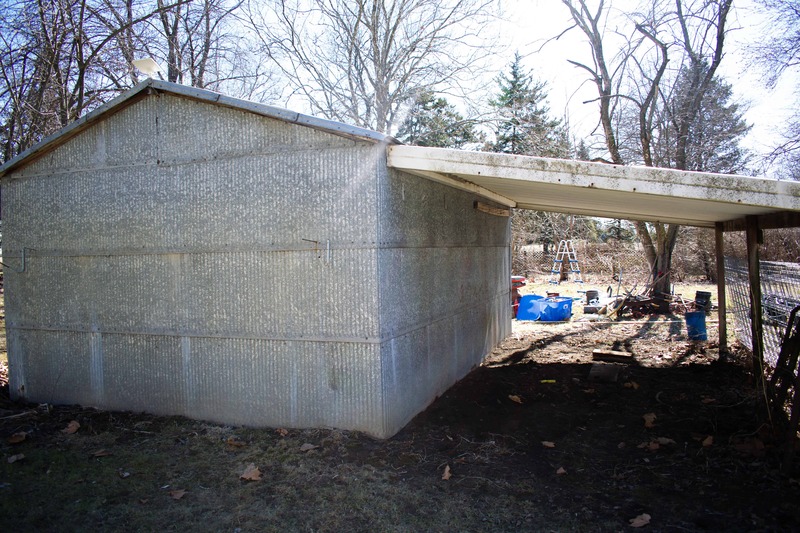 We also needed to fully enclose the back portion of the goat house. Lucy and Penny sleep in the fully enclosed section at night. During the day, they are free to roam within the fenced in area of the yard. If it gets too hot, then they retreat to the shade within the open portion of house. Hubby also built a half-door so we can easily go in and out. 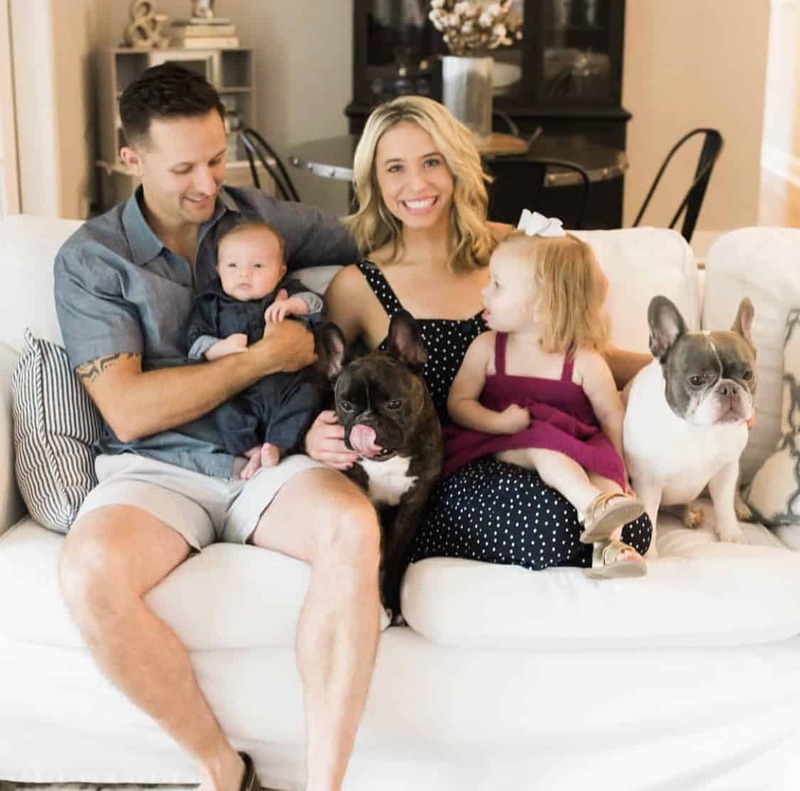 Our little one was obviously a huge help. 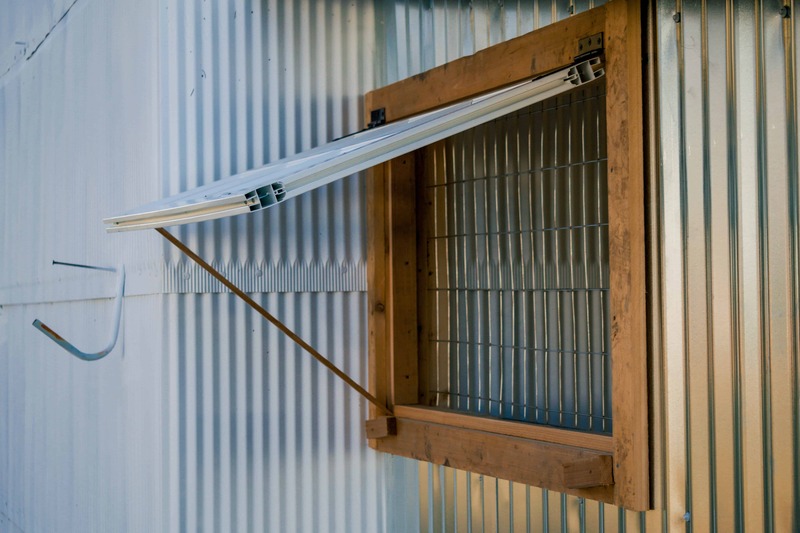 And he also built a window so the goats can get some breeze when it gets too hot. 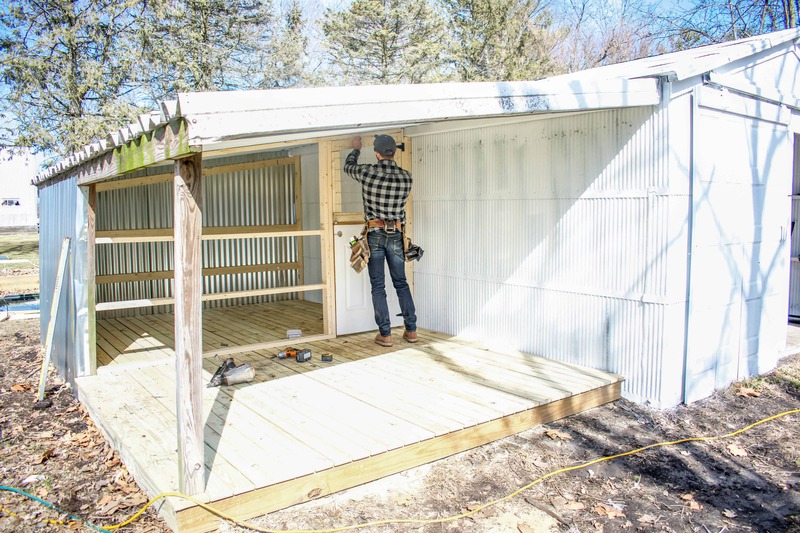 For phase 2, Ben will build the chicken coop on the opposite side of the shed. Stay tuned for more before and after photos on the homestead!